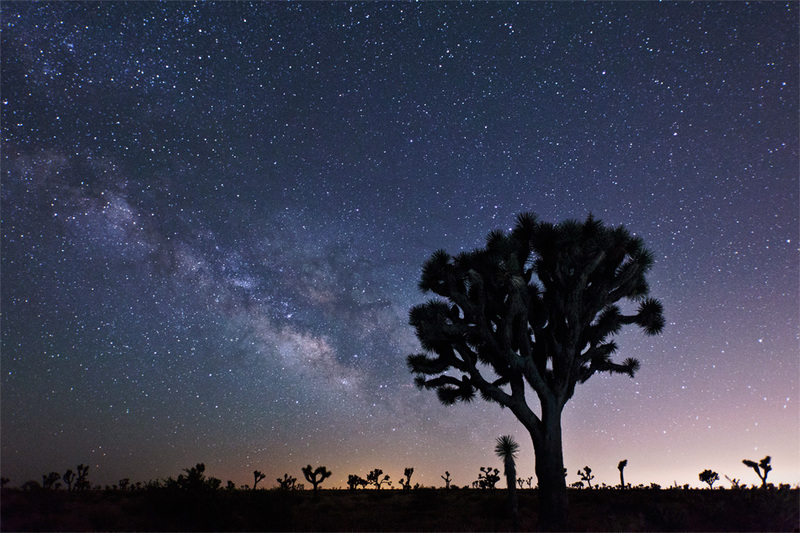 Shot in Joshua Tree National Park, this is the view of the galactic core of our galaxy. It’s an amazing view best seen in late Spring, Summer and early fall in the northern hemisphere. Head away from the light pollution of urban areas to a place that has a clear view of the east and south. You’ll see the galactic core rise out of the east to the south. Best seen during a new moon when there is no light interference from moon light. Posted on Tuesday, May 31st, 2011 at 7:20 pm. Filed under: Feature, Landscapes, Photography, Portfolio	RSS 2.0 feed.